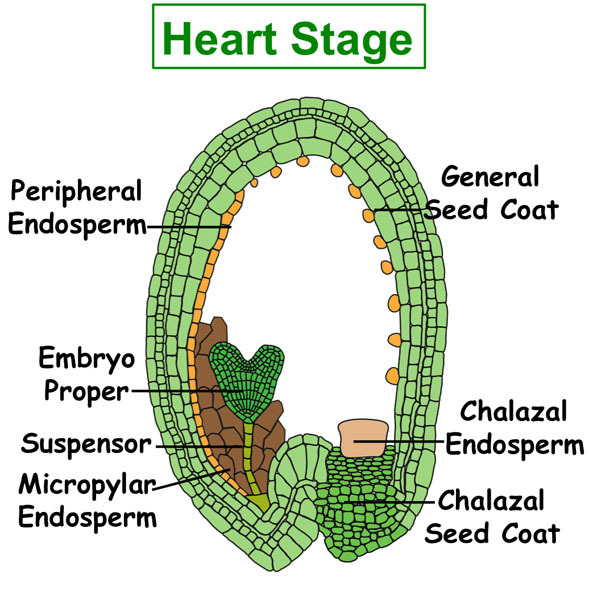 Arabidopsis Seed Tissues/Compartments GeneChip Experiments. 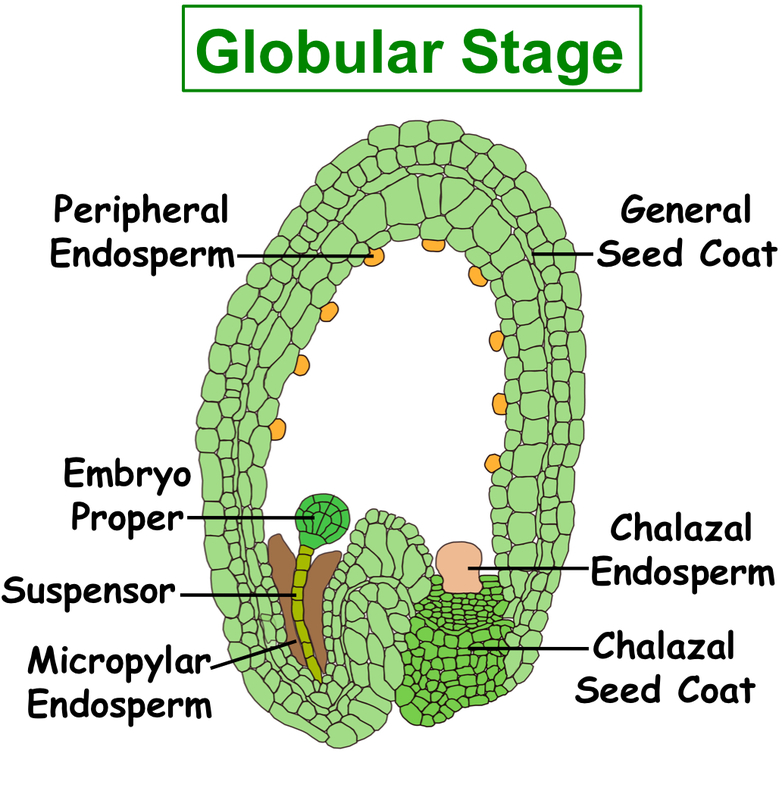 (4) Growth conditions and protocols. 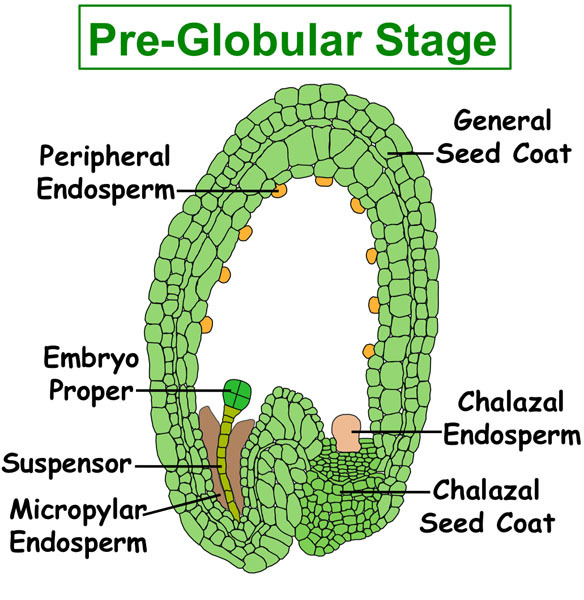 Click here to use our web-based analysis tools to analyze GeneChip experiments of arabidopsis seed tissues/compartments. 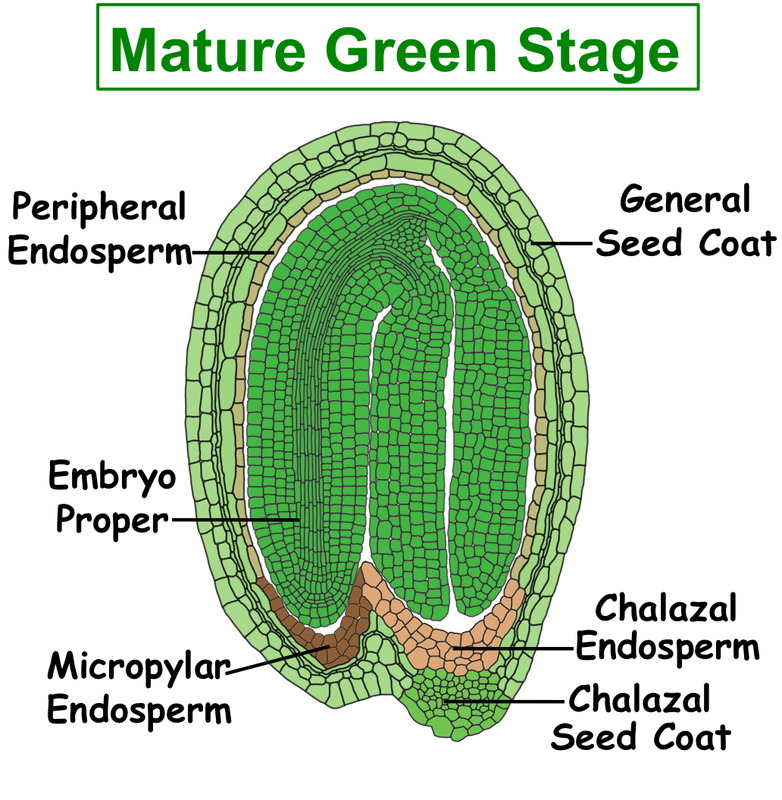 The notation for the experiment is as follows: GeneChip Array / Plant Species / Developmental Stage / Cell & Tissue Type. The validation experiments of Arabidopsis GeneChip data had been published (click here to read the manuscript). Also you can download the supplement table which contains quantitative RT-PCR result: Arabidopsis-GeneChip-qRT-PCR-Validation.xls. 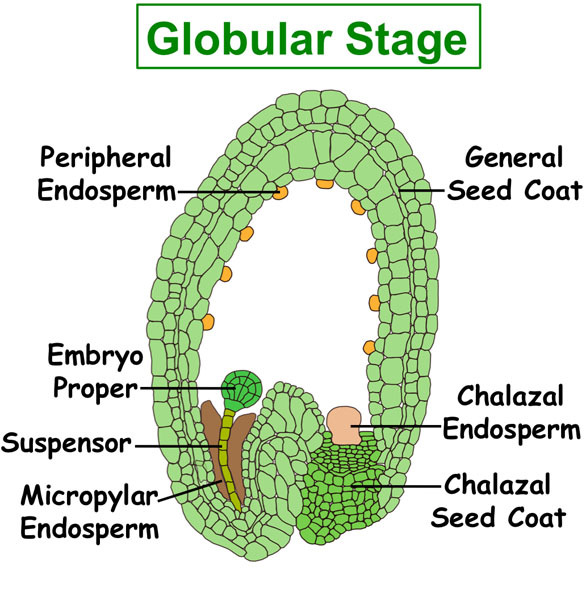 Click to browse the mRNA profiles of compartments during Arabidopsis seed development by probe identification, gene ontology, or function category. 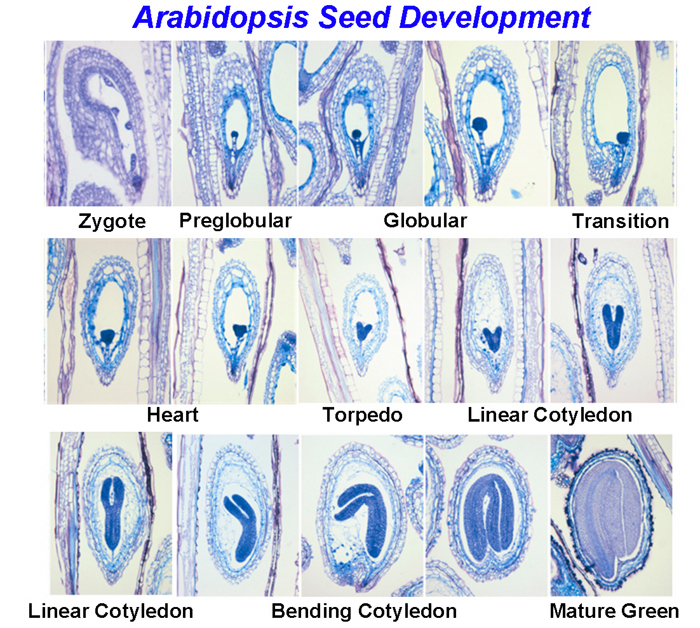 Click to compare gene activity in different Arabidopsis seed compartments at different developmental stages. Arabidopsis Plants were grown in a Conviron chamber under continuous light with fluorescent lamps at 20°C and 50% - 70% relative humidity. Along the shoot, a linear correlation was observed between the developmental stages and the length of Arabidopsis siliques. Independent silique replicates at appropriate developmental stages were collected during the afternoon and the seeds were staged by viewing whole mount seeds using Normarski microscopy. Seeds were either dissected out of siliques or left in sub-divided siliques and fixed in 3:1 (v/v) ethanol to acetic acid. Fixation was performed for 4 hours at 4°C, washed 3 times with 70% ethanol for 5 minutes each and kept in 70% ethanol overnight. Seeds were dehydrated with a series of ethanol solutions with increasing concentration (85%, 95%, 100%) for a minimum of 1 hours each. Seeds were then infiltrated with different xylene dilutions (in ethanol)(25%, 50%, 75%, 100%) for a minimum of 2 hours each. Finally, seeds were incubated approximately 3-4 times with melted paraffin at 60°C for a minimum of 3 hours and embedded with paraffin in metal boats and kept at 4°C until further use. Each block contains 30-50 seeds. Arabidopsis seed paraffin sections of 5 µm and 7 µm were generated.The slides were kept in a oven at 42°C overnight. The PEN-Foil slides containing the paraffin sections were treated with xylene solution in order to melt the paraffin. Two incubations of two minutes each were performed in the fume hood, where the slides were kept at room temperature until the following day. The slides were kept in a slide holder at room temperature to minimize exposure to humidity. 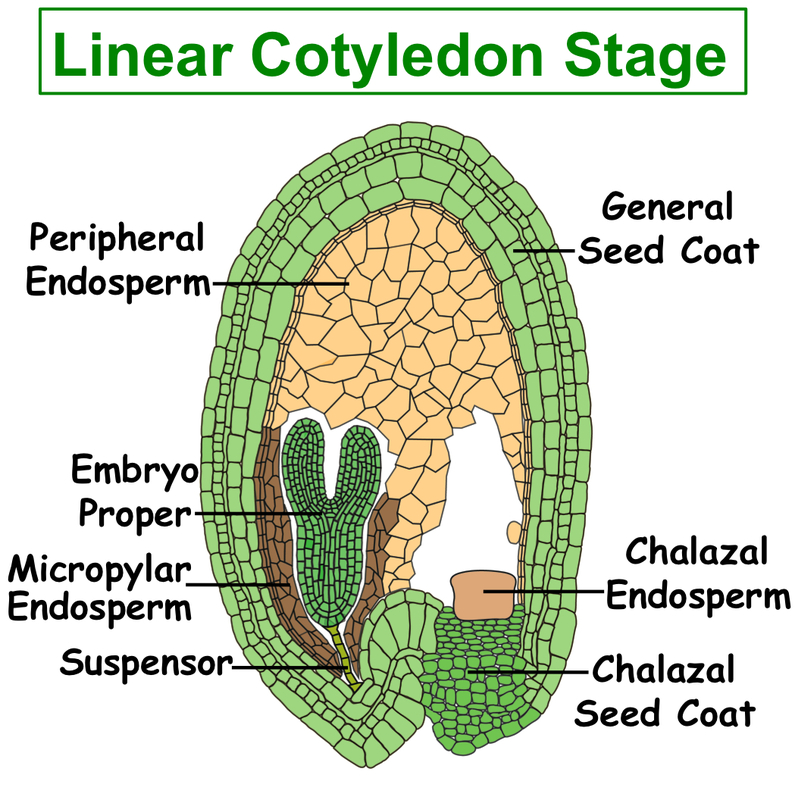 We used Leica LMD6000 system to capture the different seed regions. For each slide, the sections meeting the criterion for each compartment were selected, a picture of the region to be captured was taken, the region was captured by LCM, and a final picture was taken documenting the captured area. Captured material was collected on a 0.5 ml eppendorf tube cap containing 30 µl of RNAqueous lysis buffer from the Ambion RNAqueous-Micro kit. After collecting all samples from a particular seed region on a slide, the tube containing the captured material was immediately spun down and transferred to dry ice. At the end of the session, tubes containing the collected material were placed at -80°C until further use. As an example, we collected 895 sections for one replicate of Peripheral Endosperm, 376 sections for one replicate of General Seed Coat. Also you can download the protocols below.